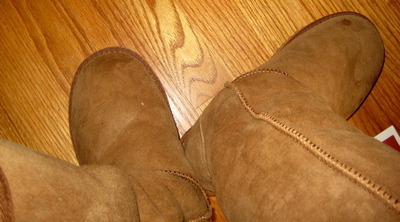 Here’s my new set of Ugg boots (really Kirkland Signature) boots. They come halfway up my lower leg and keep me so warm!! Real Australian sheep skin – infinitely better than little slippers! They’re ugly but who cares when my feet are warm!